Chromium is an element naturally found in water. 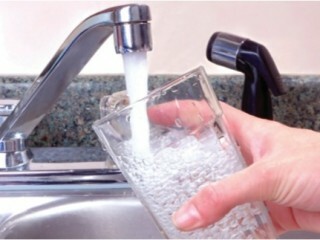 Chromium in drinking water supplies can arise from natural (i.e. geologic) and man-made (i.e. anthropogenic) sources. In 2008, The National Toxicology Program (NTP) reported that very high levels of hexavalent chromium [Cr(VI)] in drinking water caused certain cancers in laboratory rodents. The extremely high concentrations of Cr(VI) – sufficient to turn the water yellow – that caused cancer in rodents in the NTP study are thousands of times higher than most U.S. drinking water supplies and hundreds of times higher than the current EPA chromium drinking water standard. To better understand how Cr(VI) causes cancer in the rodents, a multidisciplinary multi-institutional research project was created. The project, called the Cr(VI) Mode of Action (MOA) Research Study, investigated the underlying mechanism of carcinogenesis in rodents initiated by Cr(VI) in drinking water. Importantly, this research provides information to help address the question of whether the trace levels of Cr(VI) present in many U.S. drinking water supplies pose any cancer risk to humans. Key objectives of the Cr(VI) MOA study were to i) better understand how Cr(VI) causes cancer in rodents (e.g., mutagenic or non mutagenic mode of action) and ii) provide data and analyses to assist regulators in setting drinking water standards for Cr(VI). This website provides a repository for data related to the Cr(VI) MOA Research Study and additional information resources related to Cr(VI).